I am a Dr. Pepper addict. There, I said it. I love Dr. Pepper. A couple of weeks ago I realized how much soda I was drinking and I decided it was time to step away from it. The first day was agony. How could I possibly leave my favorite guilty pleasure behind? Slowly, as the days went by, I stopped craving my treat, but I had another problem: I wasn’t drinking anything at all because I wasn’t drinking soda. I made a specific water goal and tried to meet it each day, but I struggled because the water was boring! I didn’t want to replace one vice with another, so I decided to do some more experimenting with infused waters. Here are some tips and my favorite flavors for delicious, guilt free drinks. Wash all of your fruits and herbs before putting them in the water. You want a clean, delicious, drink. 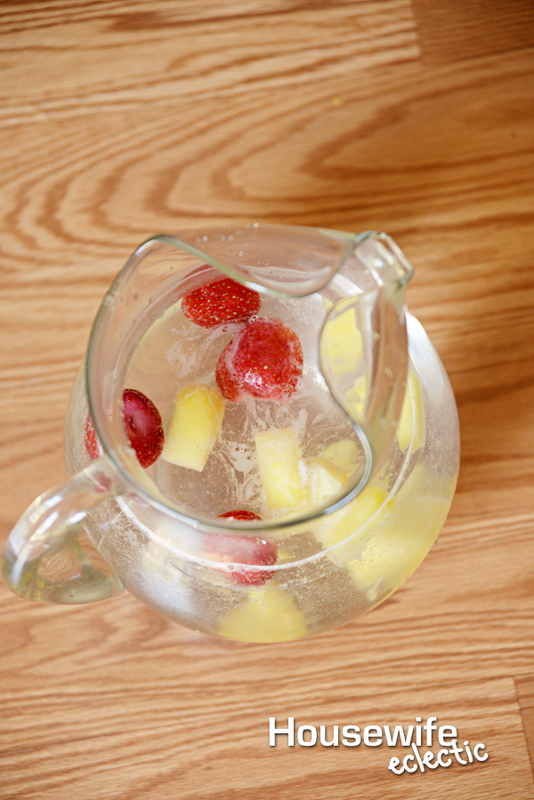 Slightly squeeze your fruits to allow them to release their juices into your water. Try different flavors together. The possibilities are endless. Reuse the fruits and herbs in your pitcher after you drink the water. I tend to use my fruits for about two days. I replace sooner if they start to look sad. Use Filtered Water. You want to taste the delicious fruit, not the other stuff in your water. Let your water sit for about an hour before drinking. This lets the flavors start to mix. Raspberry and Lime Water. 1 sliced lime and a handful of raspberries. Cucumber and Mint. Half a cucumber, sliced, and 4 or 5 mint sprigs. Pineapple, Mango and Strawberries. A handful of sliced mango and pineapple with 3 or 4 hulled strawberries. Lemon, Lime and Mint. 1 Lime sliced, half of a lemon sliced and 4 or 5 mint sprigs. Strawberries and Mint. 4 or 5 hulled strawberries and 4 or 5 mint sprigs. Recently we installed an Xtract Pfister faucet in our new home so we could have filtered water. Before we moved back to Utah, we lived in a small border town in Texas. I remember walking into my small kitchen in Texas our first morning there and filling a glass with water. I took one sip and immediately spit it out. It was the most disgusting drink I had ever put in my mouth. We soon learned that the water in our town failed water inspection more than it passed. Who knows what was in the water? And I sure wasn’t going to give it to my child! Instead of drinking this water we began buying bottled water by the gallon. Every week we consumed about 5 gallons of water and every time I threw away the bottles I wished there was a better way to fix our problem. But living in a small rental, we didn’t have a ton of options. 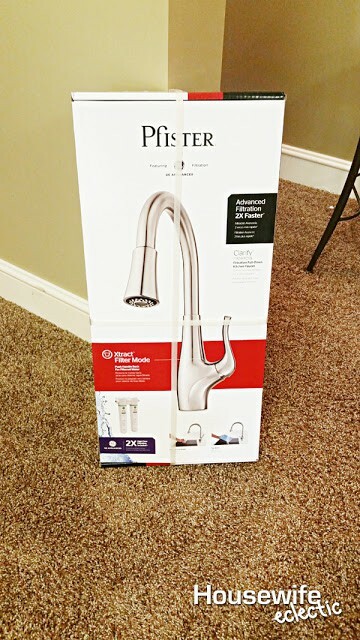 Now we live back in Utah, and with the memories of our very impure Texas water in mind, we have installed a new Pfister Xtract faucet in our home. We are thrilled to have access to filtered water and the Xtract faucet has made it so easy to have it in our daily life. Xtract not only makes it easy to have access to filtered water, but it can also replace hundreds and hundreds of bottles water. Once you have replaced your faucet with the Xtract faucet, getting filtered water for your family is literally as easy as turning on your tap. I love that our new trend of infused water is delicious and filtered. What flavors of filtered water do you want to try? Yes these look so good and refreshing! Makes me actually want to drink water! I like lemon and mint or basil. I have the same weakness for diet coke and when it gets out of hand I'll switch to the water. They all look so refreshing. 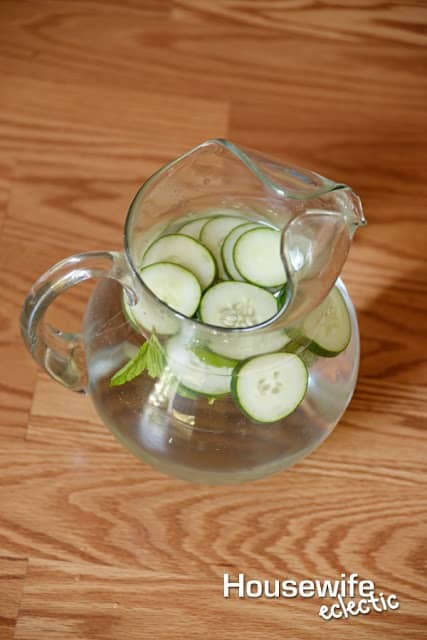 My favorite way to drink water is with cucumbers. I haven't had soda in about 2 years, and even then drank it rarely. As a health professional I wish it were higher priced, and taxed. We need prices to reflect HEALTH. Stuff that's good for you should be cheaper! I am nor a soda drinker–much prefer iced tea or coffee (or hot. I do enjoy flavored water and some of those combos up there are intriguing me. I wonder if they install that filter in apartments? Mine could sure use one. 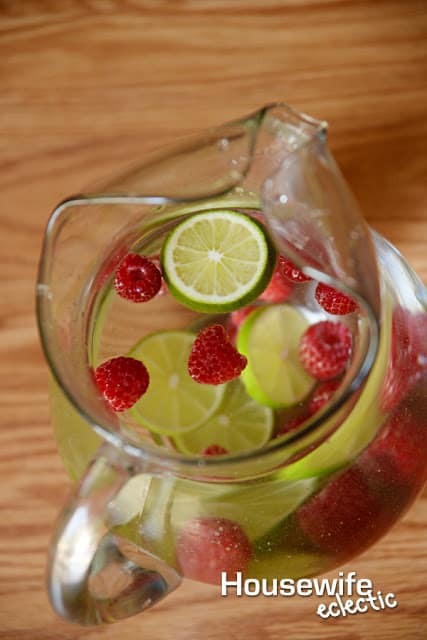 I love the idea of infused water. Such a simple idea that I definitely don't do as often as I should!! I love infused water. Over the summer this was all we would drink. I love your recipes. These waters look so refreshing! Other than throwing in a few lemon or lime slices I have never thought to make infused water. So simple I should try it. Giving up soda has been hard for me. I know I should be drinking exclusively water, but I'm not there yet. This will help the transition to be a lot easier. Mint and cucumber is my favorite infused water flavor. These look great to try! I love infused water, citrus fruits have to be my favorite. I love infused water. I even have an infuser. Filter definitely makes a difference to the taste of water too. Wow! So many delicious flavors to choose from! The hardest part is deciding which one to try first! 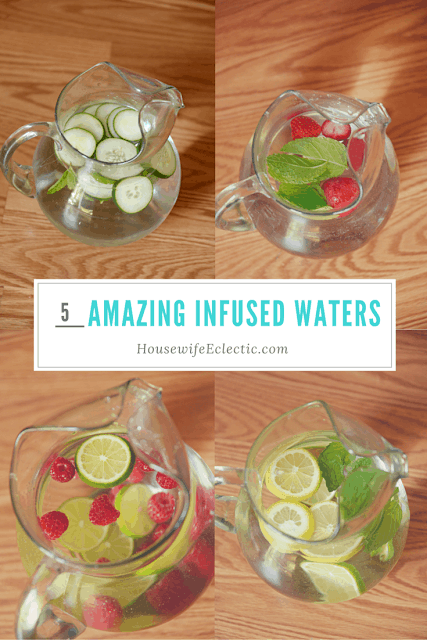 I love infused water, these are some great ideas! I drink way more water when it's infused and flavored this way. I need to do this for sure! 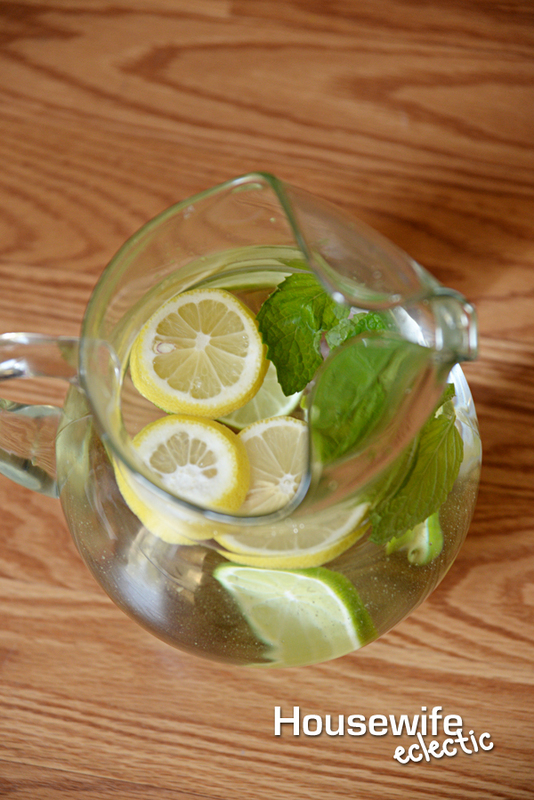 I would love to try infused water with lemon, thanks for the idea. This definitely a must try! and pin worthy. Thanks for sharing these tips, I have been wanting to try infused waters and they will come in handy when I do try them. Loving these water ideas! I'm one of the crazies who drinks a gallon of water a day so I'm always looking for ways to switch up my water intake! 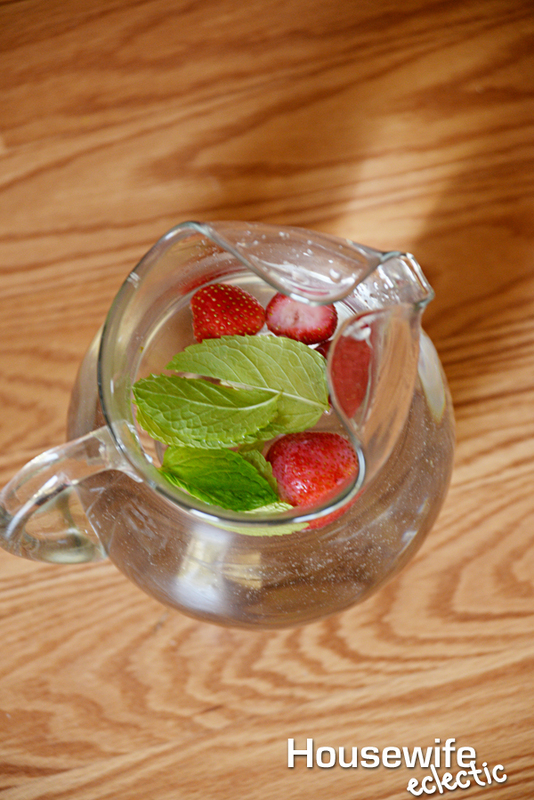 I've been getting into infused waters lately, and mixing a lot of fruits with fresh mint leaves. I love cucumber mixes, watermelon blends, and I just tried frozen pineapple and it was delicious.